Have you ever wanted to apply a bias tape to a v-neck and did not know how? This quick and easy tutorial will show you how to do this and is appropriate for woven and knit fabrics. This kind of technique can be use when you do not want to sew a collar to your garment, making the garment lighter and easier to style –which is perfect for the warmer days of summer. 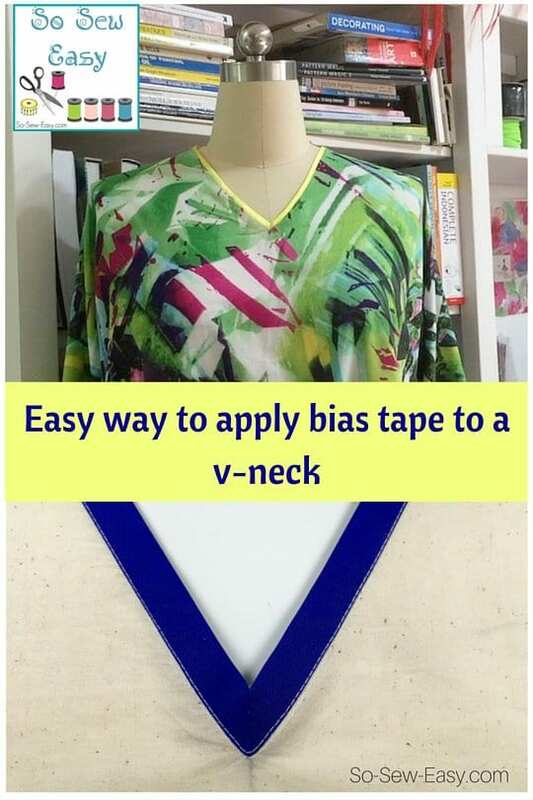 Here's how to apply bias tape to a v neck.